We live in a golden age of marketing; an age where we as marketers can finally prove our worth to the organization and show off how indispensable we are. Metrics allow us to demonstrate our value to the company and at last receive credit where credit is due. But only if we have the wit to leverage metrics properly. Fortunately, a lot of marketers are already well on their way. 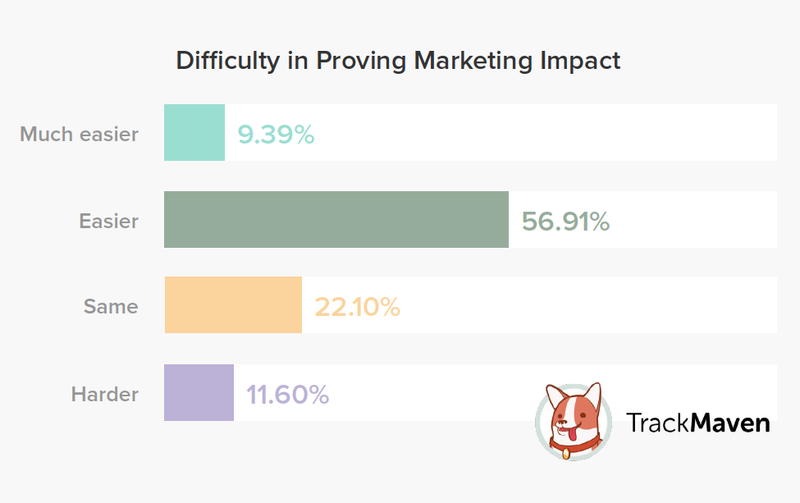 According to our 2017 Marketing Leadership Survey, over 65 percent of marketers recognize that it’s now easier to prove marketing’s impact. However, barely 30 percent consider themselves effective at actually demonstrating value internally. This gap in awareness versus ability simply can’t be ignored if marketers are to be taken seriously by the organization — especially at the C-level, where the stakes are so much higher. Marketing directors should never be flummoxed when the CEO asks: “what have you done for me lately?” Marketing executives should always have that information near at hand (if not outright memorized) in order to supply content marketing ROI and social media KPIs on demand. But it’s difficult to be on the ball if your staff has to collect information from a dozen different tools, channels and reports — even more so if they have to present them in a visually compelling and intuitive format for the rest of the board. This process could take hours — even days! This kind of situation is exactly why building a content marketing dashboard is so valuable. Dashboards in SaaS products are not a new thing. Salesforce, just to cite one example, has been using them to great effect for decades. Marketers have had them too, to one degree or another, but were usually used to either track SEO rankings or website traffic. But content marketing and social media employ such a wide array of social media channels, content types and distribution methods that it’s like drinking from a fire hose. There’s so much raw information to digest that it becomes difficult to see the big picture. 1. Easier access to critical information. As noted before, marketing directors simply do not have the time to create a decent picture given the amount of tools they’re working with. Even tools that have decent reporting functions rarely integrate well with others. Many marketing departments have to collate that information by hand. It would be like assembling a jigsaw puzzle when all the pieces are scattered across the entire house. You’ll be expending so much effort collecting, assembling and mapping the information that you won’t have enough energy to do the actual strategizing. With a proper content marketing dashboard, you can get access to all these disparate metrics and place them together in a single environment. 2. Contextualized digital campaign reporting. Let’s say you have both an Instagram account and a Twitter account, and you compare impressions/views per post. Instagram has a lower number, therefore it should receive less budget. But what if you also compare the number of interactions that each channel gets, and it turns out Instagram gets more engagement? What that tells you is that although Instagram has a smaller audience, the audience is composed of more engaged (and therefore higher-value) leads. So Instagram, not Twitter, should get the money. This is where dashboards excel. 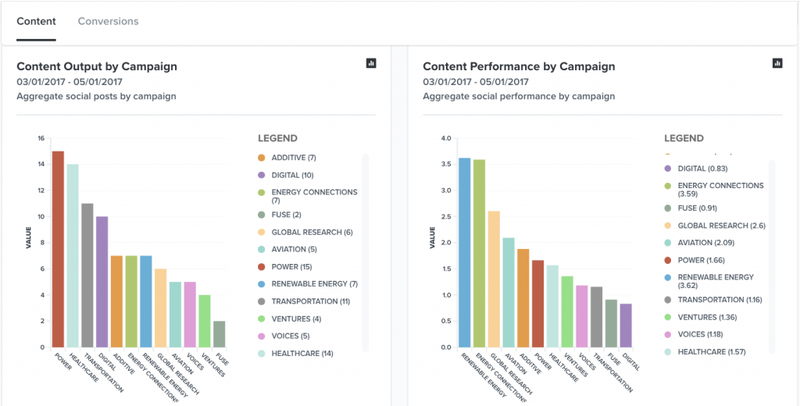 By putting different content marketing metrics side by side in an easily readable, real-time format, marketing directors can get a high-level marketing performance report across different campaigns, brands and markets. You are now armed with more accurate data and stronger and more actionable insights. In the past, a marketer director would have to wait weeks—maybe even months—before he could see the results of a given campaign. The lessons learned from that post-mortem would then have to be applied to the next campaign. If the first campaign was a failure, then so be it. If it were a success, it would be too late to capitalize on it. Now, however, marketing directors have the means to track content marketing KPIs in real-time and optimize marketing campaigns while they are still in the wild. Dashboards make it possible to adjust strategies on the fly or capitalize on opportunities as they arise. You’ll be able to brag to the board how your team intervened on a flagging campaign and turned it into a win. Dashboards, by their very nature, only focus on a few key metrics — which means you have to choose those metrics wisely. Customer demographics.Use audience insights to improve your campaign targeting and more effectively communicate with your buyers. Competitive analysis.Compare how you stack up against others on specific topics, and discover in which areas the competition is weak. Distribution analysis.Which channels are proving to be most effective for reaching your target audience? Attribution and ROI.Track which campaigns convert the most audiences into leads. Discover the strength of your marketing investment. Keep in mind that you don’t have to settle for a single dashboard. The best digital marketing analytics tools allow you to have multiple dashboards so that you can cover different scenarios. For instance, you can have a “competitive” dashboard to analyze other companies, an “industry”dashboard so you can track marketing performance across horizontal markets, and so on. Most, if not all, marketing directors have to justify their budgets to the board and prove ROI. This usually turns into a big production, with marketing analysts and assistants running around crunching numbers and you turning that raw data into a decent PowerPoint presentation. Having a dashboard makes all of that simpler and more effective because you can use the dashboard to tell the story for you. If your tool has the ability to perform marketing attribution, you can show just how well your campaigns align with business objectives and drive the strategic goals forward. You’ll now be able to make a case to shift to a truly revenue-driven marketing strategy — or, if you already have one, further refine that strategy. Think about it: if you can use hard numbers to demonstrate your effectiveness to the sales team, they’ll be more open to cooperating with you on a sales enablement strategy. This doubles the effectiveness of both teams and benefits the entire organization as a whole. No content marketing dashboards are made equal. There are a huge variety of tools and solutions in the market that have their own strengths, weaknesses and ideal applications. Even you and your competitor might have different preferences when it comes to tools, even if you’re both in the same industry. Competitive analysis. In order to stay relevant you absolutely need the ability to keep tabs on your competitors. Not just for comparing your own performance, but comparing them against each other. Real time analytics.In today’s fast-paced market you need up-to-the-minute information in order to stay agile and adjust to changing situations. Automated data collection.If you need to manually collect data for your dashboard tool to work, how different is it from doing things the old way? Not very. Easy to access, easy to use.You should never have to wrestle with the tool to make it do what you want. You’re busy, and the dashboard should give you the information you need with a minimum of fuss. Justifying your marketing budget to C-level executives is difficult, but not impossible. With the right content marketing dashboard tool, presenting the right metrics, you’ll be able to easily impress executives with your numbers and give you the leverage you need to push your desired marketing strategy forward. Compare your brand’s content marketing dashboard to industry benchmarks using data from our 2017 Digital Marketing Analytics Report. Download your free copy today!